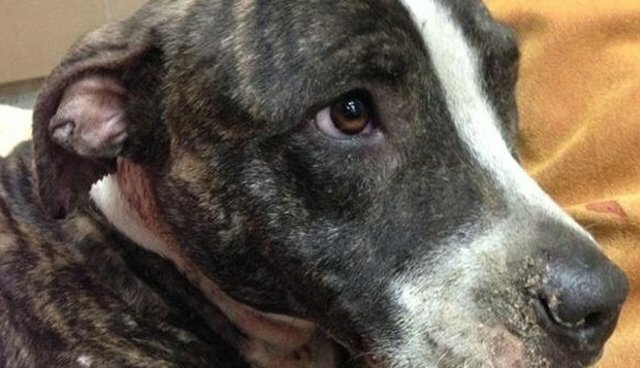 A young pit bull has been saved from the grim fate her abuser had intended, thanks to quick actions of first responders who swept in to the rescue. Responding to reports of gunshots, officers from the Tampa Police Department in Florida, discovered the defenseless animal tied to a railroad track, left to be struck by a train. The dog was also suffering from three gunshot wounds to her neck and shoulder, reports CNN, but amazingly she was still alive. 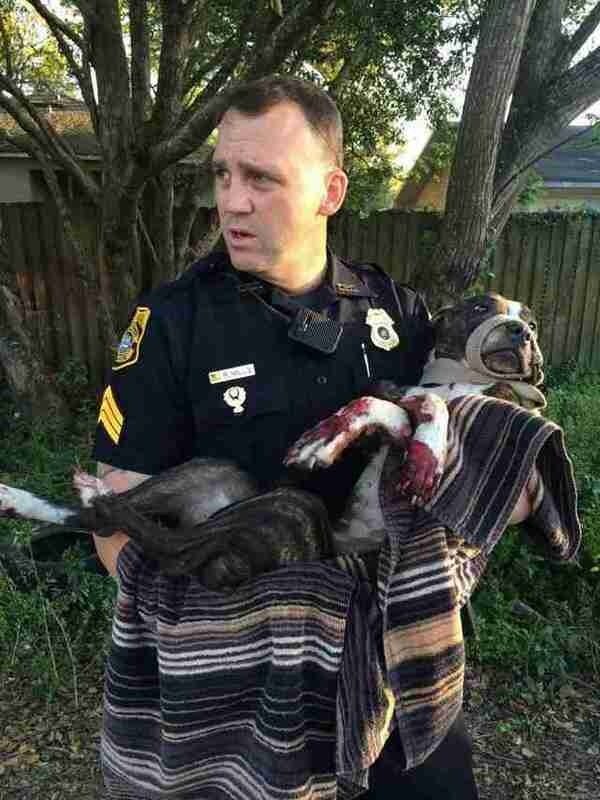 Sergeant R. Mills and his squad then hurried the dog, dubbed Cabela, to the Tampa Bay Veterinary Emergency Center. After being stabilized, the dog's gentle personality came shining through - making the act of cruelty she'd been subjected to all the more inexplicable. "She's the sweetest," veterinarian Jamie Davidson told CNN. "I mean she's not angry with people. She's not growling. She's been really really good." "We are still looking for suspects!! Please help us by reporting any tips to crime stoppers @ www.crimestopperstb.com or call 800-873-TIPS." To learn how you can help victims of animal cruelty, visit the ASCPA or the Humane Society of the United States.